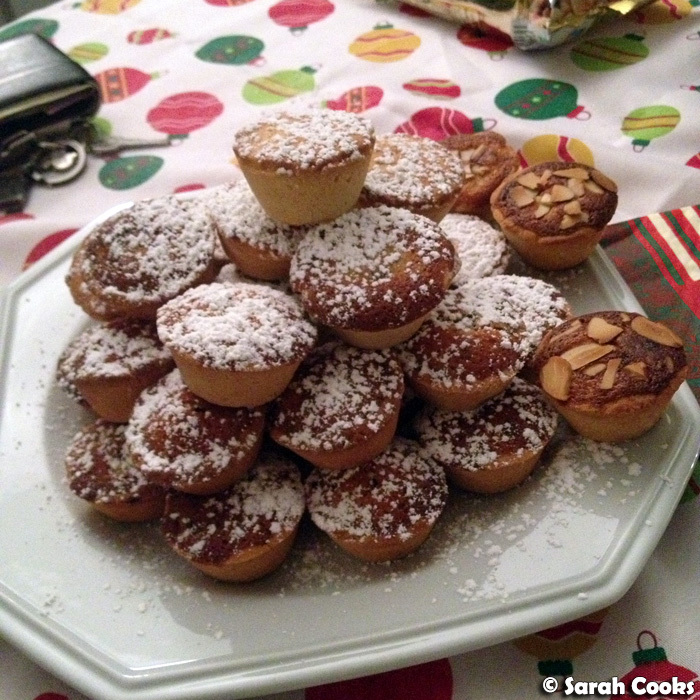 Sarah Cooks: Christmas 2012: Mince Pies! So, for the first time in three years, I made mince pies. And I went all out! 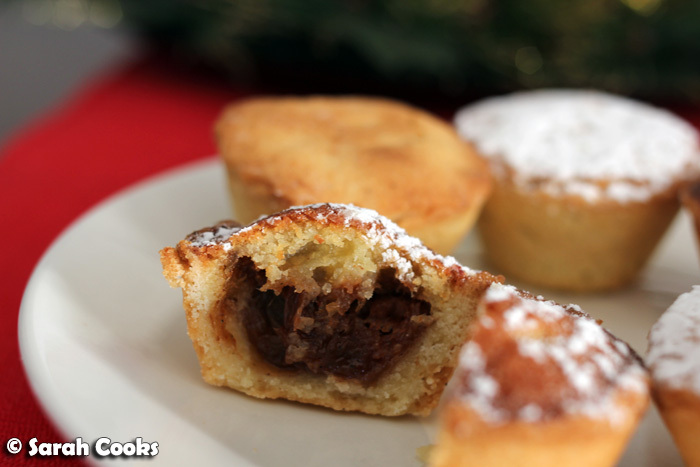 Long, detailed mince-pie related post coming up right now. Get yourself a cuppa (and preferably a mince pie too! ), sit back, relax and enjoy. My love of mince pies knows no bounds - I love baking them, but even on years when I choose not to bake, I go a little crazy when they start appearing in bakeries and stores. (Remember my frantic search through different Coles to find Heston Blumenthal's new range?) My favourite type are the ones with thick, crumbly shortbread pastry. Super sweet, excessive and rich, yes, but it's Christmas! Live a little! 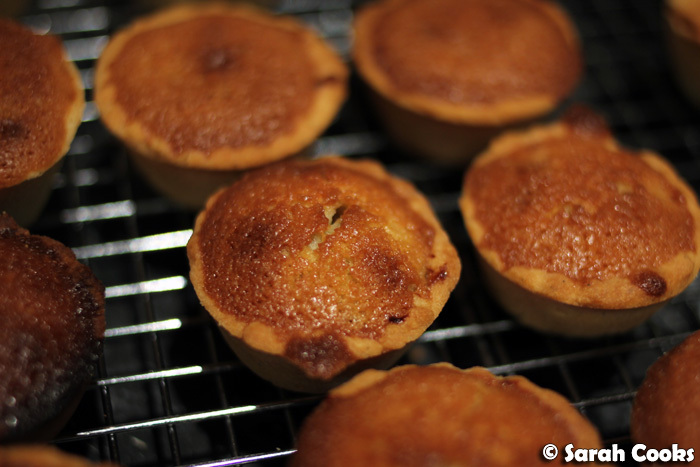 Despite all the previous posts, I've never published a full recipe for mince pies on this blog (or my Sarah Discovers How to Eat blog, for that matter), seeing as I've usually just followed recipes to the letter - I usually just point y'all in the direction of the original recipe and give you my thoughts on how they turned out. This year, however, I feel like I made enough significant changes to make these my own. Crucially, I loved these so much that I want to be able to make them exactly the same way next year, and not have to flick through four different books, and compare them to my own notes to figure out what I did. 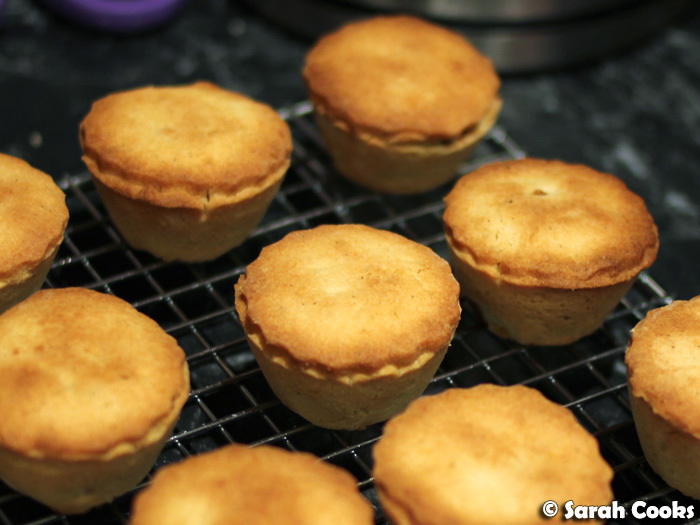 So, let's talk about the structure of these mince pies! I made a delicate vanilla-bean shortbread pastry (AKA pâte sablée), filled it with an apple-rhubarb-vanilla mincemeat (adapted from Feast), and topped it with frangipane (AKA almond cream). 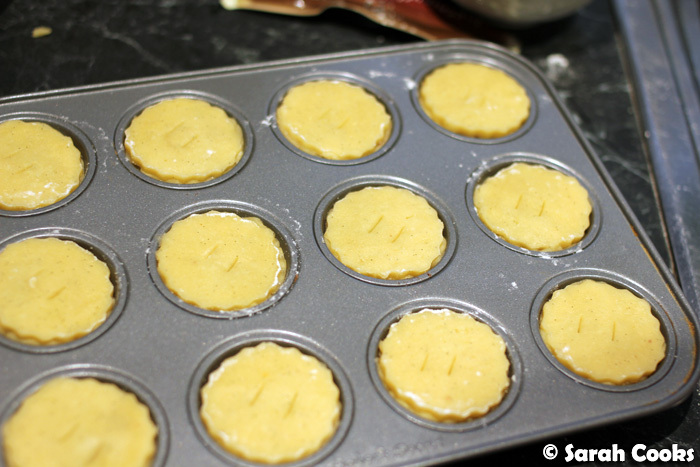 I baked them in mini-muffin tins, ensuring a high ratio of crumbly pastry-to-filling. Super love! 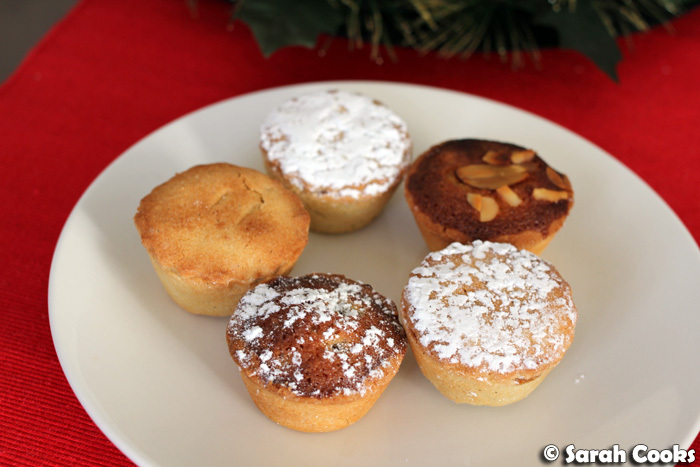 For fun, I did a few variations, which I'll talk about in more depth, but the full recipe given below is for the frangipane-topped, apple-rhubarb-vanilla mincemeat-filled mince pies. Phew! This is a very long, involved recipe, but you can definitely stagger the preparation over many days, just assembling and baking them on the day you want to eat them. I make no apologies for the length of the recipe though - if you want a light and crumbly, perfect mince pie with little effort and time, just go out and buy them! There are loads of great ones out there. Besides, baking is fun! I was searching for a mincemeat recipe that used real suet in it, but the only one I could find in my books was Nigella's quincemeat (HTBADG). Seeing as quinces aren't available right now, there went my dream of a suet-filled mince pie. Perhaps next year. (Does anyone have a good recipe?) Back in 2009, I tried Nigella's suet-free mincemeat, but don't remember being blown away by it. So I thought it was time to try a brand new one, and flicking through my books I decided on the rhubarb vanilla mincemeat from Feast. I love rhubarb, and I have heaps of lovely moist vanilla beans in my fridge. Perfect! 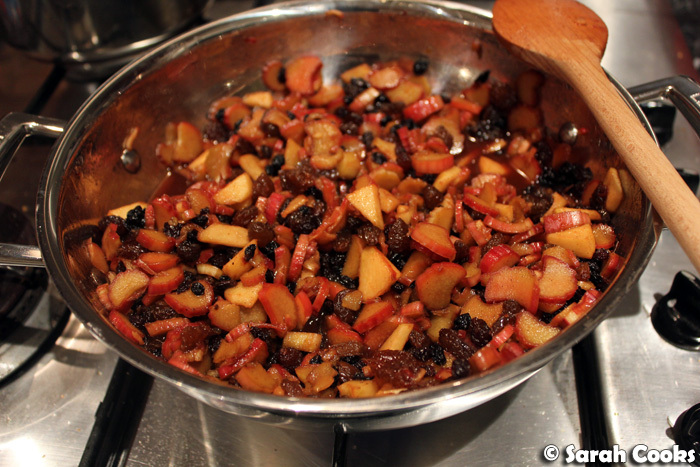 I halved Nigella's recipe (a kilo of rhubarb and 660 grams of dried fruit - woah!) 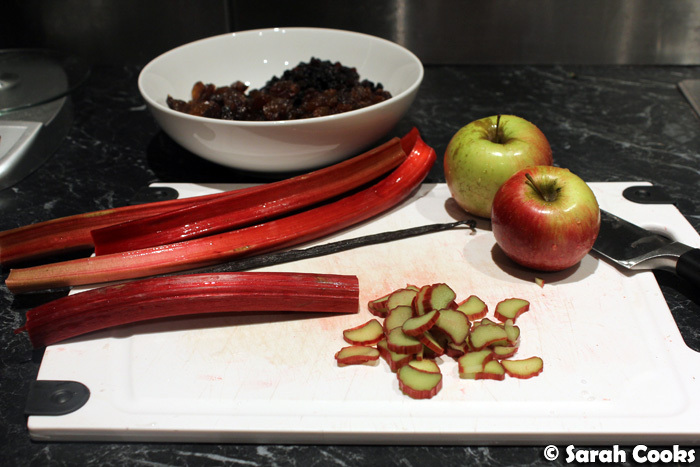 My bunch of rhubarb, once trimmed and sliced, only weighed 400 grams, so I made up the remaining 100 grams with some apples. In the recipe below, I've stated that you can use any ratio of apple-to-rhubarb as you like, seeing as they both provide the same, pectiny, function. ...and simmer over a low heat for about half an hour until the whole mixture is fragrant and the rhubarb has melted into a softly sticky, delicious paste binding the dried fruit together. Heavenly! 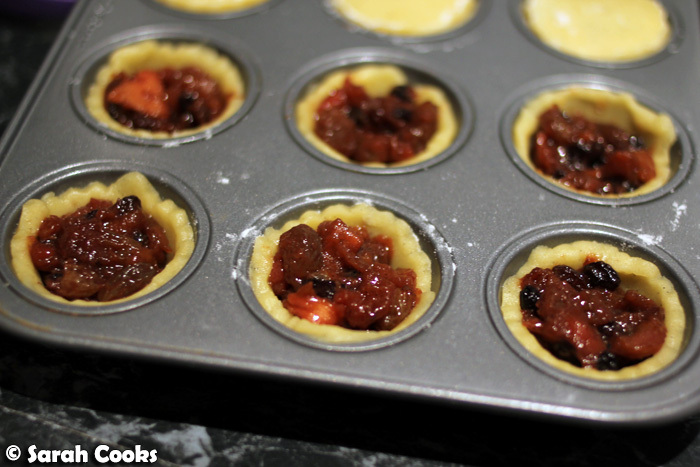 My scaled-down recipe still makes twice as much mincemeat as you'll need for the 42 mini-mince pies below, but it didn't seem worth it to make the mince in even smaller quantities, especially as you can't buy rhubarb in 250 gram quantities. Either keep the remainder in a sterilized jar, or double the amount of pastry and go crazy! 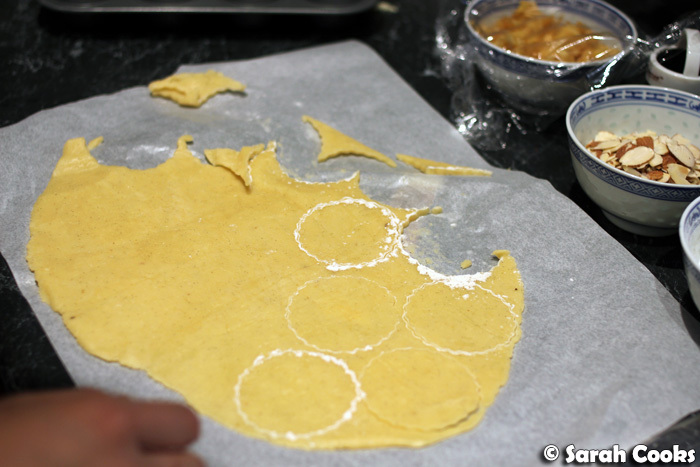 So, pâte sablée is easy to make, but very difficult to roll out as it is so light and delicate. I used a Roux Brothers' recipe, adding the seeds of a vanilla pod to the dough for extra flavour, and making it in a mixer instead of using their complicated manual method. You just cream together butter, sugar and vanilla, beat in an egg and a pinch of salt, and then very gently fold in some flour and almond meal. 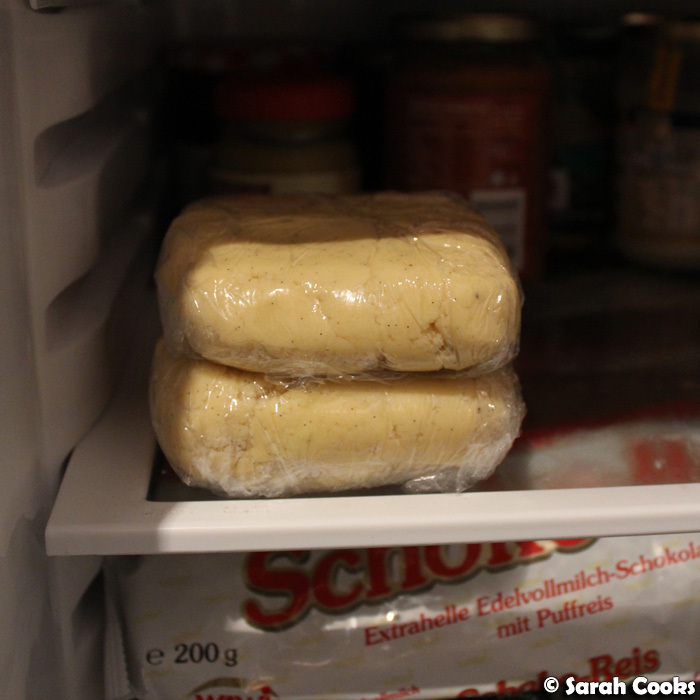 Here are my little patons of pastry resting in the fridge. I'd made the mincemeat and pastry earlier in the week, and assembled and baked the pies on a Saturday afternoon, to bring to a Christmas party. I found that the pastry was very difficult to work with, especially because it was 38 degrees that day - so hot! I rolled out the pastry between sheets of greaseproof paper, and chilled it for another half hour before cutting it out, but it still started melting and breaking up very quickly, before I could even cut out all the circles. See, all melty and sweaty! I didn't have time to keep chilling the dough, so for the remainder of the pies, I ended up breaking off small balls of dough and pressing them into my mini muffin tins to line the base and sides. This was much easier, and actually turned out really well - you couldn't tell the difference once baked. As a general rule, if a pastry is easy to work with, it can end up tough. Once baked, these were incredibly light and crumbly - definitely worth the hassle! (Although if it's a colder day and you're more skilled than I am, you may find that you can roll it out with no trouble). To make the frangipane topping, you just stir together egg, almond meal, sugar and flour. That's it! I prefer the pies to be filled with mince and topped with only a thin layer of frangipane, but use a thicker layer as you wish. (You will need to scale up the frangipane recipe below if you want a thick layer in each pie). And here they are, baked! Yay! This is what they looked like on the inside. So delicious! 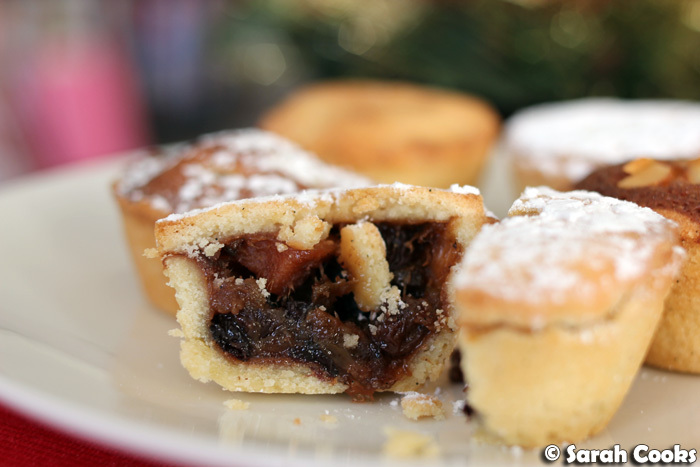 I loved the crumbly pastry against the richly spiced, almost creamy, fruit mince. The double vanilla hit from the pastry and the mince was so luxurious, and they smelled and tasted divine! 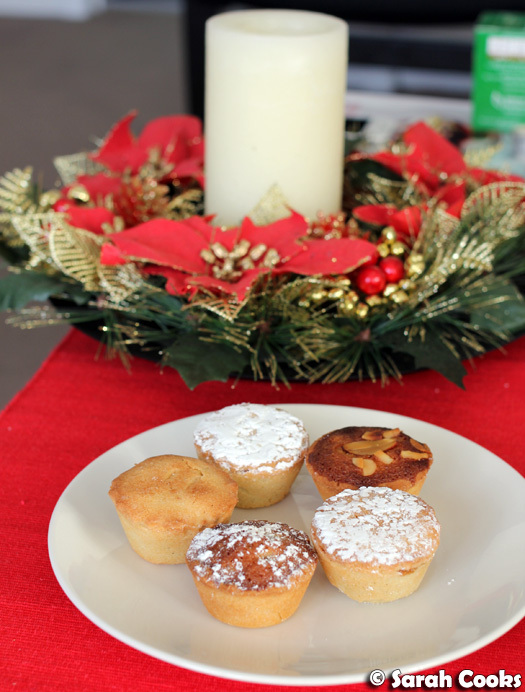 These are my favourite mince pies I've ever made. Cross-section of mince pie. Super yum! And here they are, all piled up at the party. (Pic taken with my iPhone). Internal shot of pastry-topped mince pie. Check out the crumbliness! I also filled some with apple instead of mincemeat (again an idea from Feast, for those people who, unfathomably, don't like fruit mince). Peel and core an apple, then finely chop or grate it. Place in a small saucepan with a squeeze of orange juice, a drop of vanilla extract and a teaspoon of sugar. 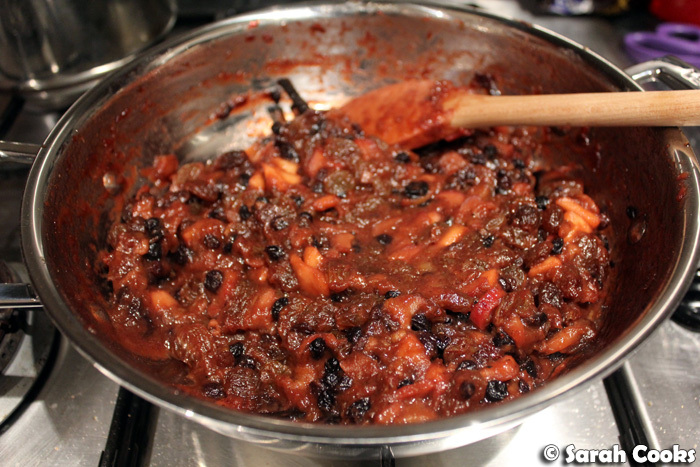 Cook until softened, and use instead of fruit mince. (This can obviously be scaled up depending on how many you want to make! I found that one medium apple filled six mini pies). These were incredible! 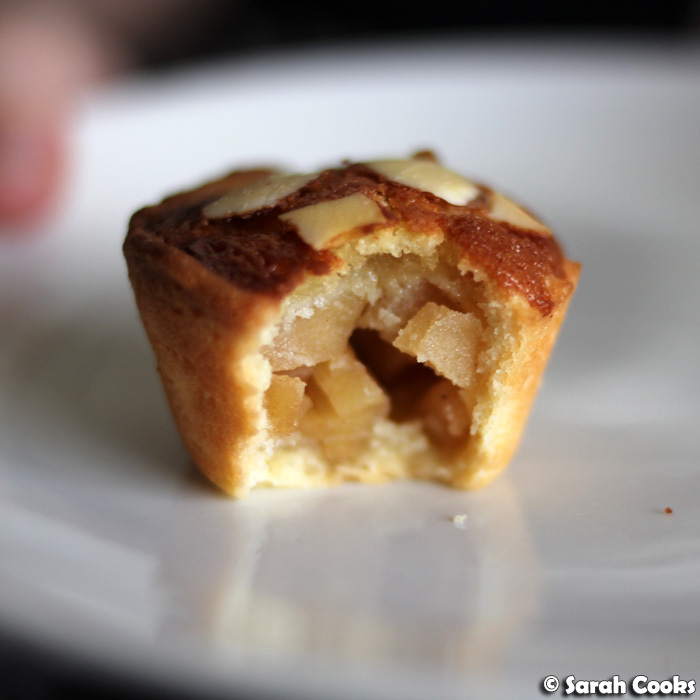 Crisp, buttery vanilla pastry, filled with soft, cinnamon'd apples and topped with soft frangipane. Gorgeous! Definitely one to try at any time of year. If you happen to have any crème anglaise lying around, (it is Christmas, after all), know that it makes a gorgeous, totally over-the-top accompaniment. So. What are you waiting for? Go forth and bake! (See above notes for further clarification on each element). Trim and finely slice the rhubarb. Peel, core and finely chop the apples. Place into a large saucepan with the brown sugar. Slice the vanilla pod lengthwise and scrape out the seeds. Add the seeds and pod to the fruit in the saucepan. Add the mixed spice, and cook over a low heat for about 5 minutes, stirring occasionally, until the fruits start to soften. Slice the vanilla pod lengthwise and scrape out the seeds. Place the butter, vanilla seeds and icing sugar in the bowl of a freestanding mixer, and beat until very soft. Add the egg and salt, and beat until combined. Sift over the almond meal and flour, and very gently mix in using a spatula. (No more electric mixer here! 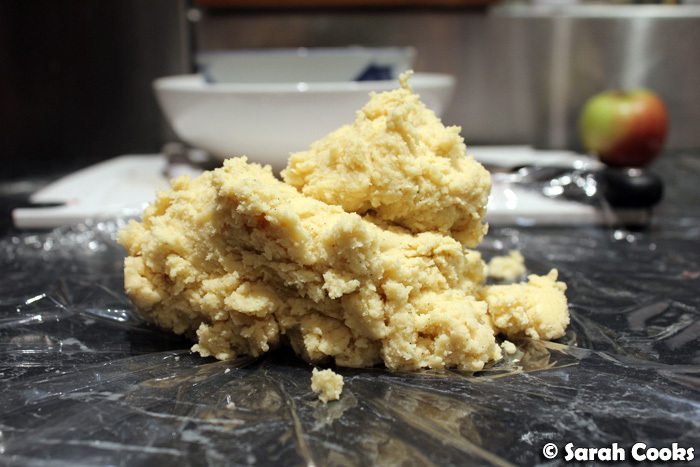 Once the flour is added, you'll want to work the dough as little as possible so it remains crumbly). Scrape into a rough ball shape, cover tightly with clingfilm and refrigerate overnight. Make the frangipane by whisking the ingredients together to combine. That's it! If it's a cold day and you're very confident, roll out the pastry between two sheets of greaseproof paper until approx 3-5 millimetres thick. 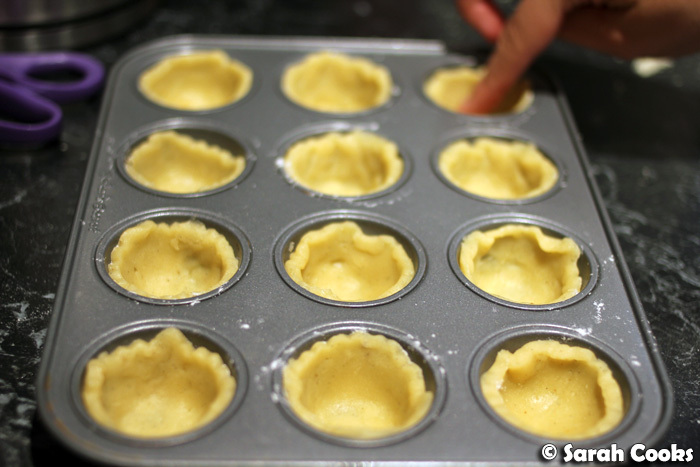 Cut circles of pastry out using a 5cm fluted cutter and use the circles to line the indentations of a mini-muffin pan. 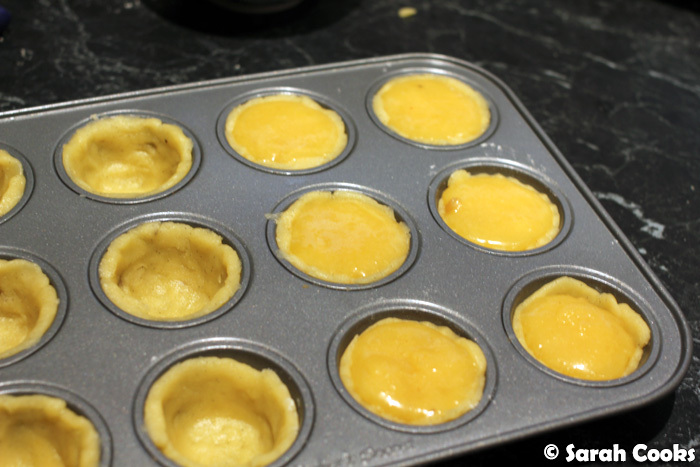 Otherwise, pinch of small balls of dough and press them up the sides of the muffin tins to line them. Spoon a teaspoon of mince into each pie, and top with a scant teaspoon of frangipane to cover. Sprinkle with flaked almonds. Bake for 10-20 minutes (depending on your oven), until golden brown and cooked through. (You may need to take a pie out to check that the bottom is lightly golden brown, not pale and undercooked). Allow to cool slightly before dusting with icing sugar and inhaling. 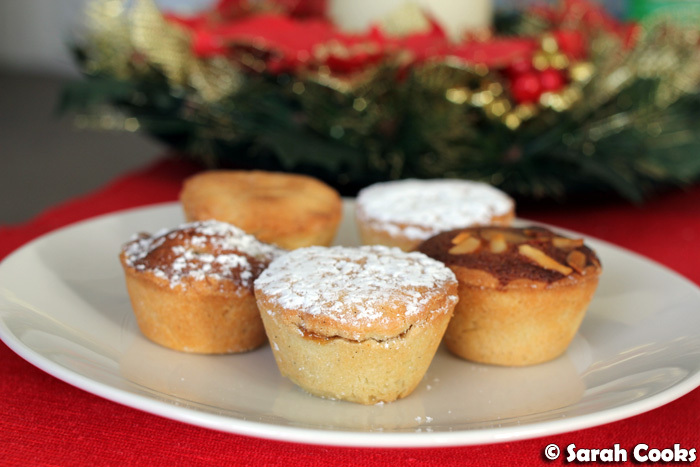 Wahhh I didn't know you loved mince pies so so so much :) They look amazing! If you love it so much I need to try it. It's not often that people like a meal so much :) Plus it includes everything I like and looks amazing. Holy mince pies Batman, they look so awesome. I think I'll be lazy and buy the Heston ones as I do like those. Leaf - Thank-you! Haha I think Coles should pay me for all the social media promotion I did for those pies, lol! Lorraine - Thank-you so much! I'd love to received Heston's pies under my tree! Daisy - I LOVE them! Totally obsessed. Already looking forward to next Christmas, lol. Marta - Thank-you very much! Thanh - Thanks Thanh! I like the Heston ones too, good for a quick mince-pie-fix!